It's no secret I love pastels and soft colors, but I also adore bold, bright hues, and at times, a more muted palette. The thing I really struggle with, is mixing them all! So today's card is all about that and a couple of little tips I've picked up along the way in making different color families come together. 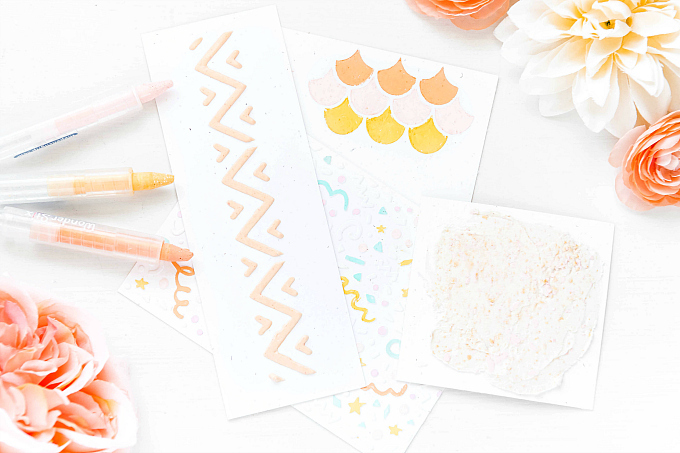 Before we get to the card, I wanted to share that this sweet stamp set is currently a part of a huge sale on SB.com - most Altenew stamps and dies are 20% off or more, meaning this gorgeous (and really large) stamp set is under $18! You can use my link here or use the link provided in the supplies list below. The sale is valid until midnight Thursday, September 20th! Happy Shopping! To start today's card, I used PTI's Tag Sale Quilted die to cut out the scalloped tag. 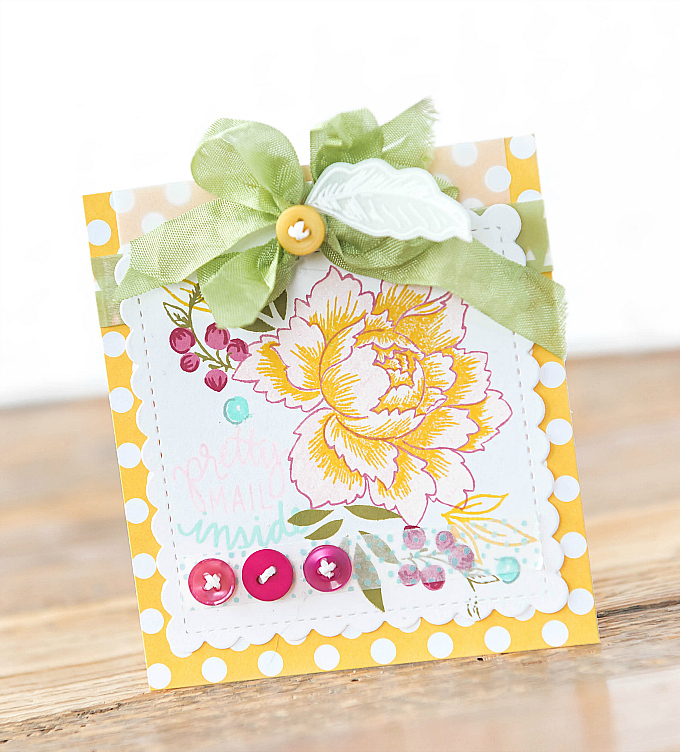 I used Altenew's gorgeous Peony Bouquet stamps for all of the floral stamping. 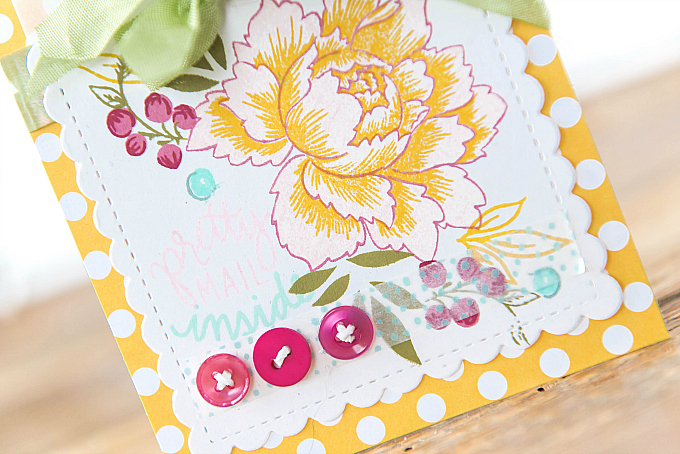 I love that this set combines outline, fill and shading options for each flower. It makes it so versatile to work with. 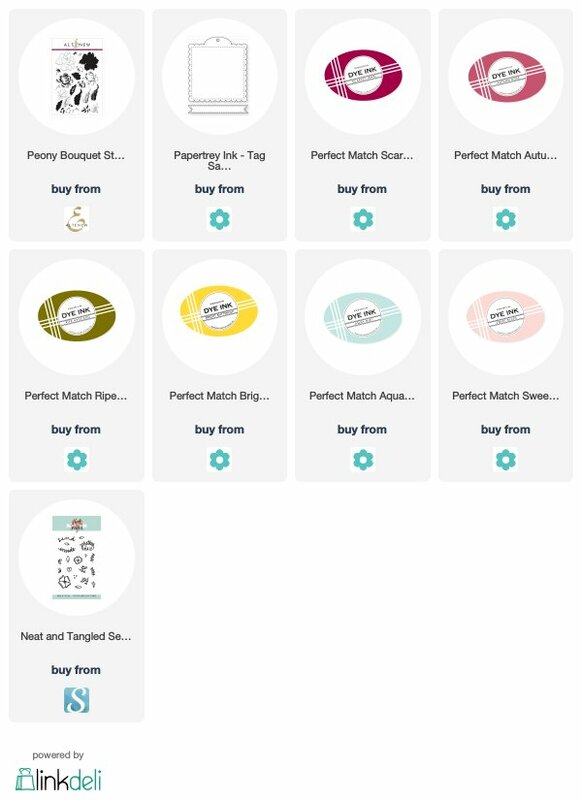 For the sentiment, I used Neat and Tangled's Pretty Mail set. To pick my colors, I started with a pastel palette of Sweet Blush and Aqua Mist, and then took a swift departure from the usual, by adding in Ripe Avocado for the greens, Bright Buttercup for the yellow, and a mix of Scarlet Jewel and Autumn Rose. Here are a couple of tips I discovered along the way while playing with color. As far as I can tell, it really helps to have a grouping of each set of colors. Meaning, at least a couple (or a few!) pastels, and same goes for the muted tones. It makes the color choice seem deliberate and harmoniously blends all the shades together. I also found that picking a harmonious color palette goes a long way. For example, had I decided to swap the soft pink for a muted pink, and the soft aqua for a muted aqua, these colors would look great. But swapping out a couple of the colors (pink and aqua) for pastels, really adds a lot of interest, and some softness to these heavier shades. Do you have any favorite palettes that can be kicked up a notch or transformed by swapping in interesting colors? I hope you'll give this switch-up a try! What a stunning card Ivana! Truly beautiful (and deliberate:) use of colors. The BG paper really tied it all together for me~ gorgeous color-work and detail. 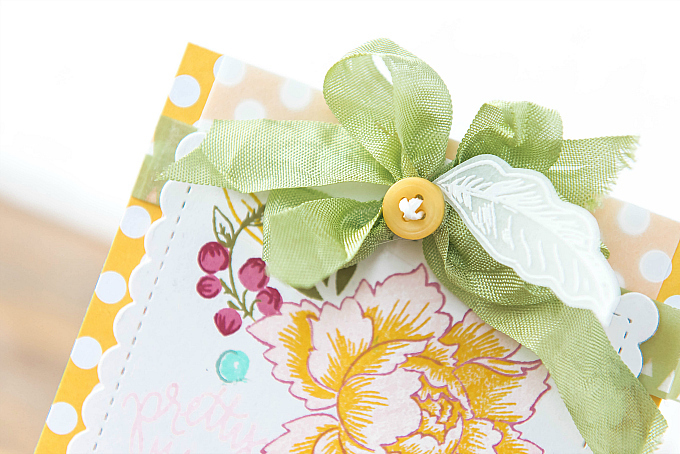 The polka dots, the buttons, the seam binding bow, the stamped images...they all add up to beautiful! Ivana, I absolutely love this card!! Just love all the colors that you've chosen and how you put them together. I struggle with grouping colors so thanks for the little tips. I'm going to give it a try. WOW!! this is so STUNNING!! I love the colors and those buttons are delightful!! Beautiful combo, Ivanna! I love how you tend to use vellum leaves, flowers, butterflies as accents. I tend to forget that works & use them only for the focal point. Love the ribbon, too!